A smash bestseller that spent over six months on the New York Times bestseller list, FLIGHT OF THE INTRUDER became an instant classic. 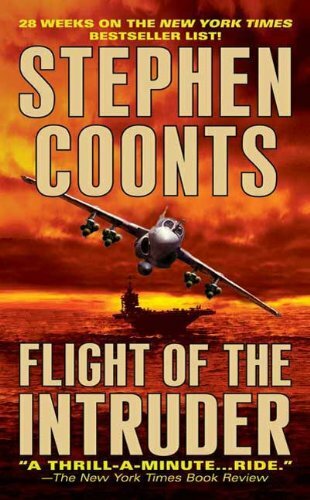 No one before or since ever captured the world of Navy carrier pilots with the gripping realism of Vietnam veteran Stephen Coonts, who lived the life he wrote about. More than a flying story, FLIGHT OF THE INTRUDER is also one of the best novels ever written about the Vietnam experience. It’s all here—the flying, the dying, the blood and bombs and bullets, and the sheer joy—and terror—of life at full throttle. Firefox was the supersonic thriller of a reckless Western scheme to hijack Soviet Russia’s most lethally sophisticated warplane. Firefox Down is the stunning sequel to that daring undercover operation – a stupendous Mach-5 all-action listen that will pin you to your seat with suspense! After a hair-raising landing, the hijacked Firefox lies entombed in a frozen lake 20 miles from the Norwegian frontier. Its pilot, Mitchell Gant, is running for his life from the tracker dogs and helicopter patrols of the KGB border guard. As international tension mounts, East and West wage a desperate behind-the-scenes battle – a frantic race to recover the Firefox! Brilliant flier Major “Donkey” Sheehan, Captain James Broussard, a pilot destined to return to Vietnam, Captain Andrew Pritchard, the golden boy, and coldly ambitious Major Richard Stark battle enemy MiGs. 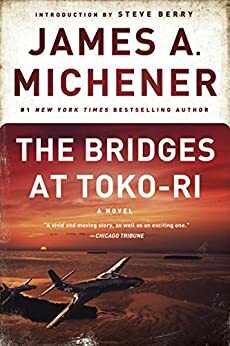 Three Young Cadets, Kenichi Tanaka, Joe Kelly, and Manuel “Little Cat’ Dominguez, all subjected to the cruel hazing of an arrogant and vengeful upperclassman, band together in a show of unity and strength. Years later, this solemn oath of brotherhood will hold them together, and be severely tested, during cataclysmic events in Vietnam. They meet to save Eagle Station at Lima Site 85 Royalty of Laos. LS85 is only 24 kilometers from the North Vietnamese border and provides crucial navigation signals to U.S. planes attacking communist North Vietnam. Russian Spetsnaz have a plan to capture a vital electronic device from the site and kill all the Americans thereby aiding Hanoi’s plot to provide a big event involving the first black POW pilot. 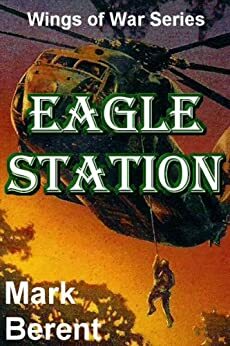 Eagle Station is the fourth of the five-book Rolling Thunder series. Next and last is Storm Flight. In one of his beloved early bestsellers, Pulitzer Prize–winning author James A. Michener crafts a tale of the American men who fought the Korean War, detailing their exploits in the air as well as their lives on the ground. Young and innocent, they arrive in a place they have barely ever heard of, on a ship massive enough to carry planes and helicopters. Trained as professionals, they prepare for the rituals of war that countless men before them have endured, and face the same fears. They are American fighter pilots. Together they face an enemy they do not understand, knowing their only hope for survival is to win.